Turkana Land is where you can relax kabissa! ‘Kabissa’ means ‘completely’ in Swahili language. 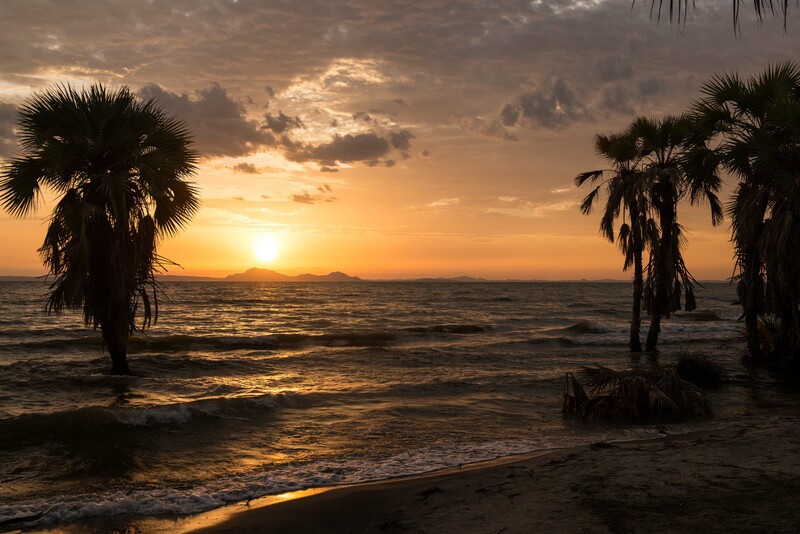 It boasts miles upon miles of palm fringed, unspoiled sandy beaches on the shores of Lake Turkana, the world‘s biggest permanent desert lake. Swimming in its slightly alkaline waters cures many skin ailments, making it a giant natural spa. 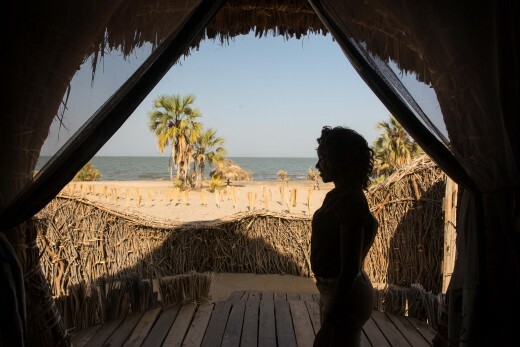 The best facilities for spending a good time on the beach are found in Eliye Springs, merely 50 kilometres from the County capital of Lodwar. There is a recommendable lodge and several basic camp sites, all having direct access to the lake. A more exclusive lake experience can be found in Lobolo Camp, a small tented camp about 20 kilometres north of Eliye Springs which is also a good starting point for nature excursions on foot or by boat. In Kataboi, some 30 kilometres north of Kalokol, the County Government is currently building an eco-lodge which is to open soon, offering comfortable rooms and conference facilities. You can make a unique and truly authentic bathing experience to the very south of Turkana County. In Kapedo right by the foot of the Silali Volcano, two hot streams plunge over a small escarpment before merging with Suguta river. How does that sound: to immerse yourself in a natural mineral spa, fed by a hot waterfall? 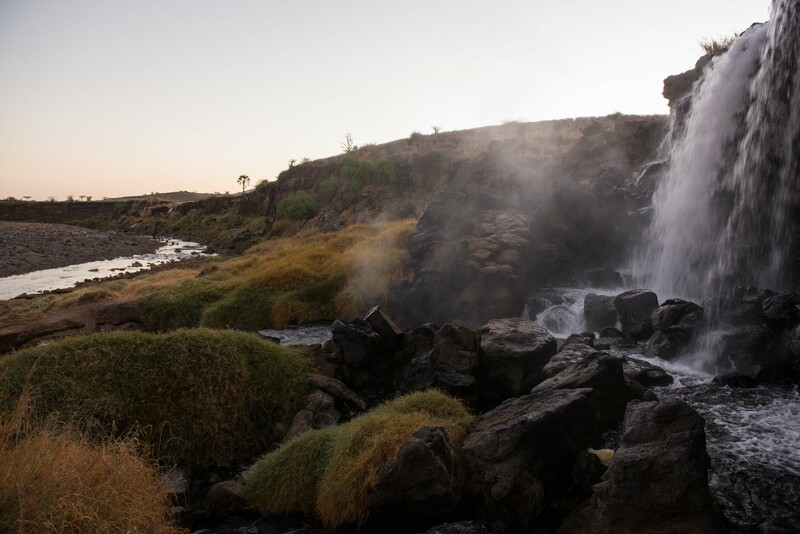 Whether you prefer it boiling hot or lukewarm, you will find the right water temperature in Mother Nature’s bathing tub, depending on how close you are to the merger of the hot streams with Suguta river! The hospitality industry of Turkana Land is developing fast. In the capital Lodwar, in Lokichogio near the border with South Sudan and in Eliye Springs there are restaurants, hotels and lodges that reach international standard, and with the upcoming eco-lodges in South Turkana National Reserve and Kataboi, the areas bare of quality hospitality will further shrink soon. 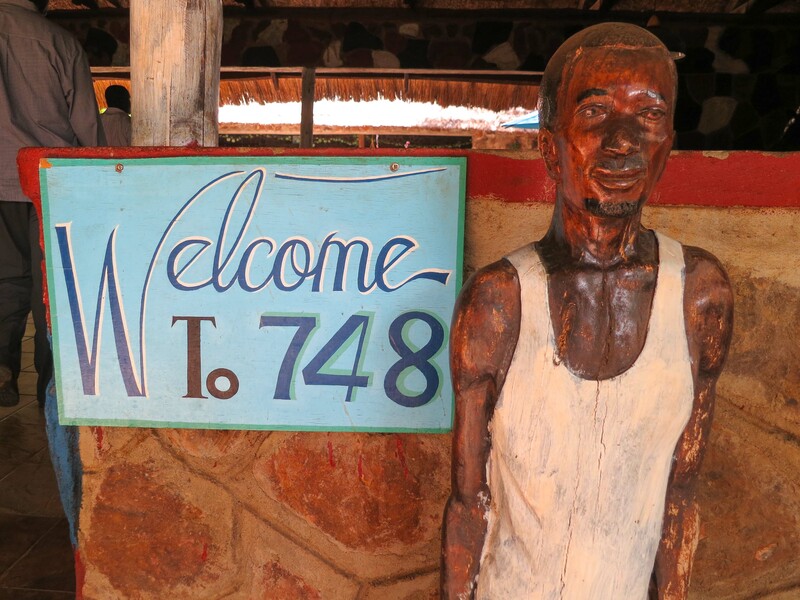 In other major towns of Turkana you will find clean and friendly local guesthouses. If you want to treat yourself and shop something beautiful to take home with you, you will find plenty of artful traditional jewelry, like the colorful necklaces of Turkana women or the carved wooden elders’ stools on sale almost everywhere. Equally typical is the skilful basketry woven by Turkana women from dried doom palm leaves. 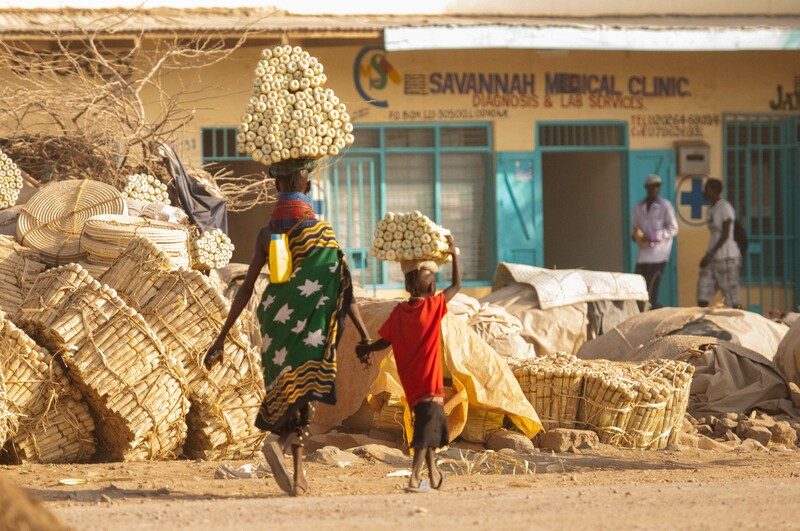 The basketry market in the centre of Lodwar probably offers the best choice.